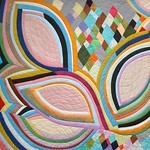 Dear Quilt Making Sisters and Brothers, The Improv Handbook For Modern Quilters is soon to be released on May 5. To celebrate I will be hitting the road June 1-10, to sign books and spread the joy of improv patchwork from Durham, NC to Oakland, CA. I'm in the initial stages of planning the Improv Handbook X-Country Book Tour and I need your help deciding locations. I am looking for quilt shops, textile/craft museums, or book sellers who are willing to host book signing receptions en route. I will be offering either a short presentation or improv demo performance about improvisational process and patchwork in exchange. Improvisation is at the heart of living creatively. Music, dance, theater, drawing, cooking, conversation, play, child rearing, and even science benefit from the flexibility of mind that improvisational process engenders. We all improvise every day. Attendees will leave with mind tools, tips and a fresh perspective on how to apply improv skills learned in life to their patchwork – and vice versa! Basic strip, bias strip, wedge, curve, stack, float, repetition, flow, bleeding, darting, natural fit, approximate measuring, trouble shooting, and composition tips, tricks and techniques for ruler-free patchwork will be demonstrated and performed on the spot according to suggestions received from the audience. It’s an Improv Patchwork Theater Mashup! 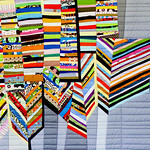 Attendees are invited (optional) to bring up to a 1/4 yd of fabric scraps for use in the patchwork performance. Venue provides sewing machine, ironing station, and work table. Please comment below with the name of the city and venue recommendations, with contact info if possible -- or email me privately. 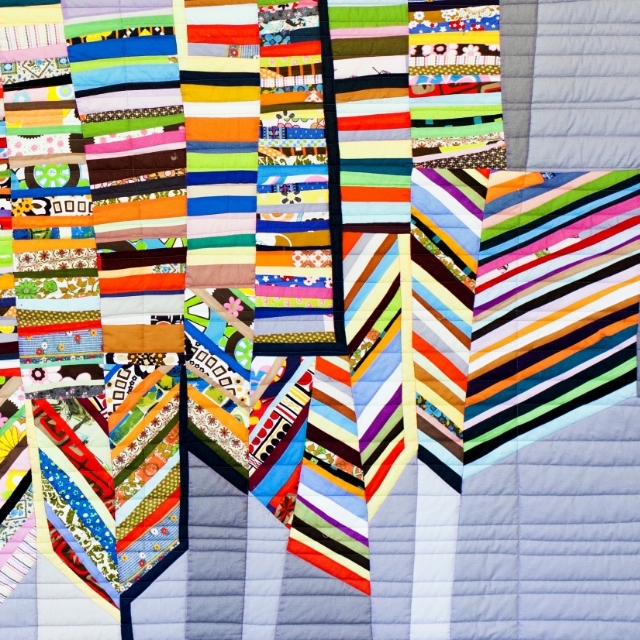 Also comment on the strength of the quilting community in that location, along with contact info of local quilt guilds - traditional or modern - whose members might be interested in attending such an event. Or please forward a link to this post to anyone who you think may be interested and able in hosting an event on the tour. Thanks for your timely help! I will be announcing the itinerary for the Improv Handbook X-Country Book Tour soon. I hope to meet you there!